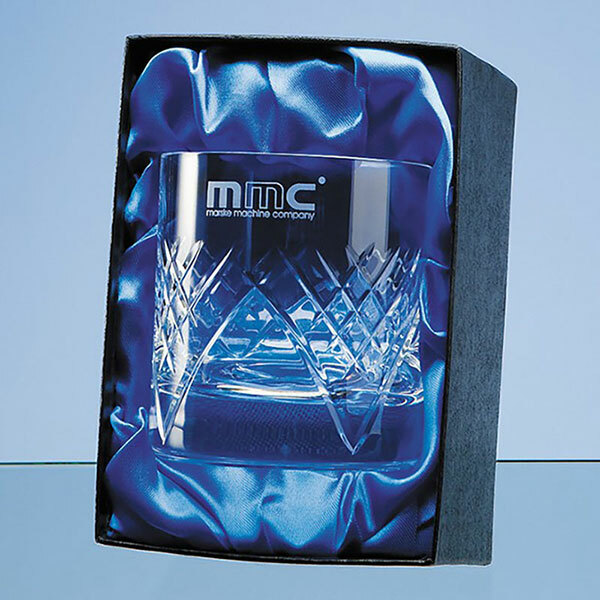 Engraved Lead Crystal Brandy Tumblers - fine quality lead crystal panel brandy glasses with cut glass decoration on 3/4s of the body and a blank panel for engraving, ideal engraved as corporate gifts or awards. 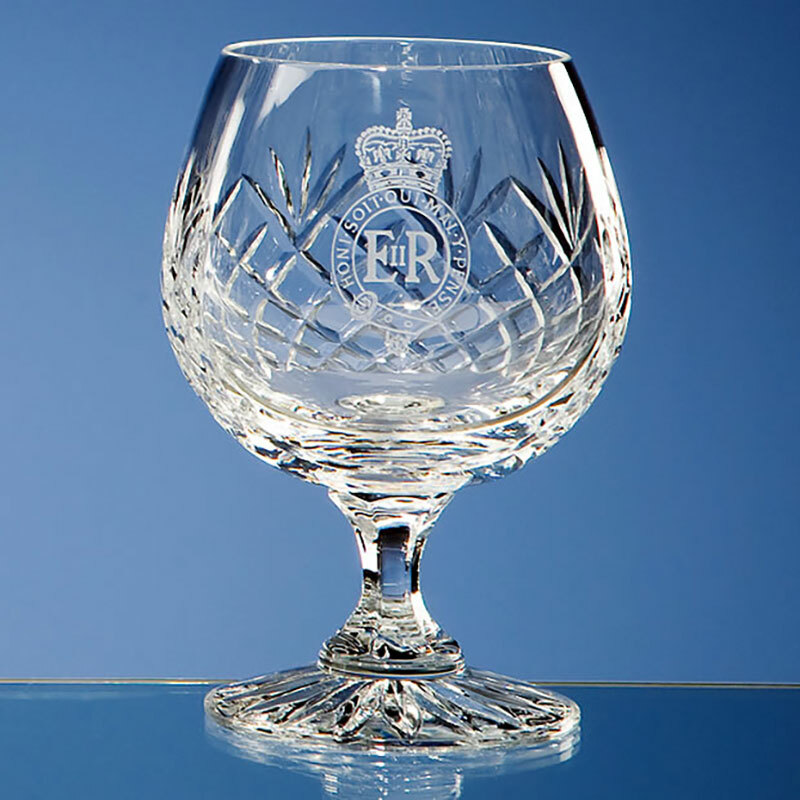 A classic brandy goblet featuring elegant cut glass decoration on 3/4s of the body and star decoration on the base, with a blank panel for your engraving. 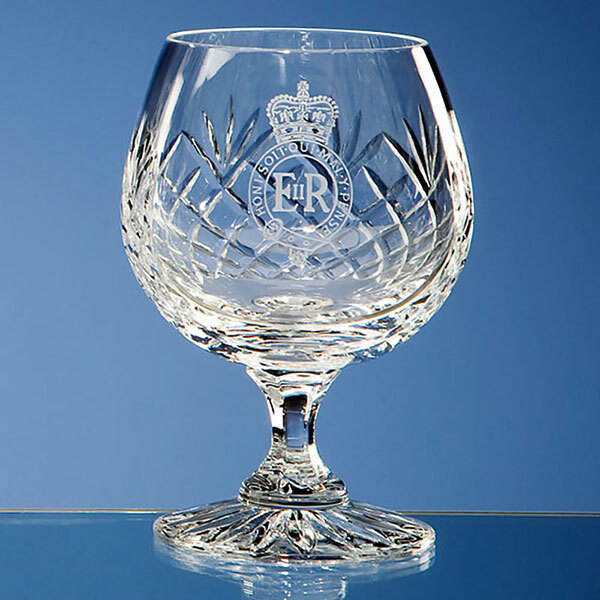 Always a popular choice, these classic brandy goblets are crafted in 24% lead crystal and are ideal engraved as corporate gifts or recognition awards. They can be customised with Low-cost text or logo engraving from Crystal Awards Supplier. An optional satin-lined presentation box is available for your engraved cut glass brandy tumbler.